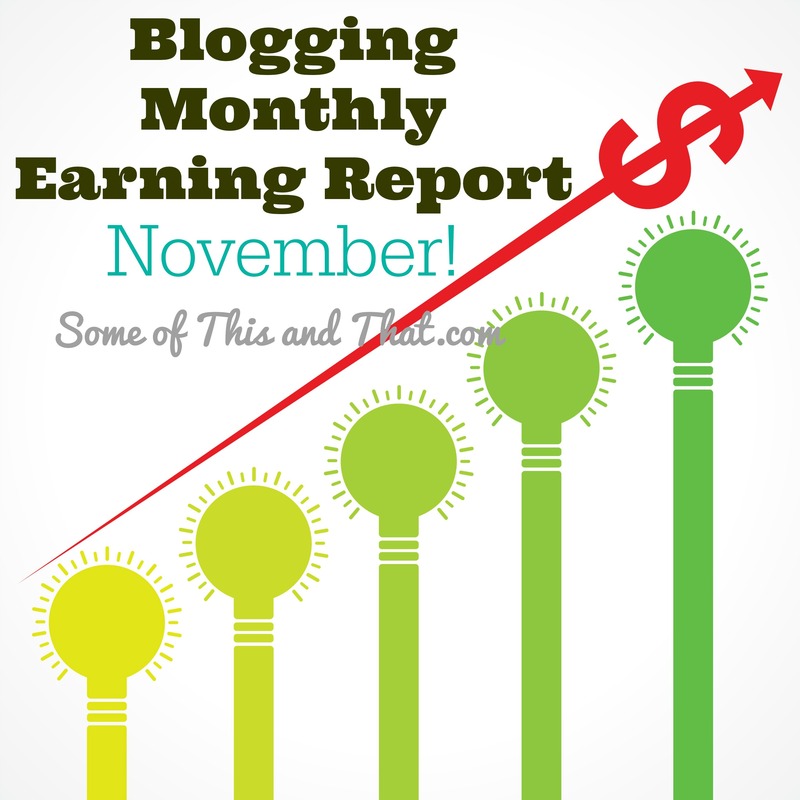 I have never done an earning report on this blog, I did it monthly on my previous blog though. With a new year starting, I am bound and determined to get my New Years resolutions started early, and keeping accountability is my top priority. If you are a fellow blogger, I hope you can get something out of this post. If you are not a blogger, and thinking about starting a blog, maybe this will help you with your decision. It has been a fun, but hard transition from being a coupon blogger to a craft and recipe blogger. I love that I am no longer glued to my computer searching out deal after deal, but it has forced me to pursue other ways to earn money on my blog. I no longer post affiliate deal after affiliate deal, which has renewed my love for blogging. I blog because I love it, not because I can make money. A majority of what I earn I reinvest into my blog and it helps to keep my blog up and running. Each month I try to focus on growing one social media platform at a time. It gives me the opportunity to really study what is working and what is not. The last two months I have really focused on YouTube though, mostly because it is truly my favorite platform. As you can see on my sidebar, all of my social media has been gradually growing, which I hope means that I am doing something right. So for this report we will start off with what I have earned from YouTube this month. Some of This and That’s Channel: $32.00. It does not seem like a lot, but the channel is new, and I just started really taking the time to post new content on the channel every week. 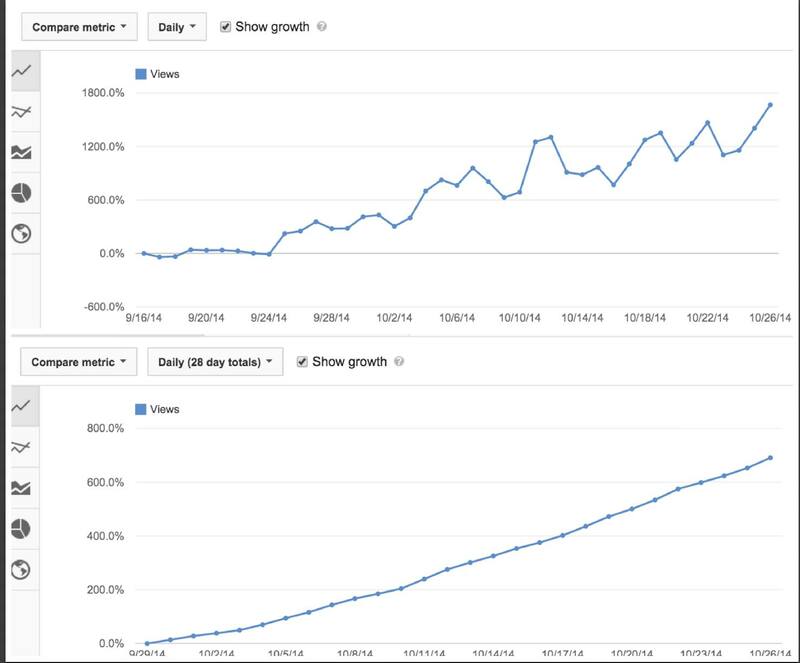 As you can see from the graph on my analytics, the channel is steadily growing! The Coupon Prepper’s Channel: $235. I have had this channel for a while, but really haven’t posted a video in nearly a year. This past month I started uploading again, and my earnings have started to increase again. This channel does have a larger subscriber list, so of course each video does get more views. A majority of the earnings from this channel come from one particular video I posted in April of 2013, it has nearly 400K views, which to me is crazy! With blogging there are a million ways to earn money. I have not really had the time (nor patience) to really optimize my sidebar ads, but they are earning a little bit of money. Paid Posts: $275. I am really picky about sponsored posts. If it is not a company I love, or something my readers are interested in, then most likely I will pass on the offer. Affiliate Earnings: $63. Although I am not posting direct affiliate deals any longer, I do monetize my site by adding in affiliate links when they fit with a post. I just recently started doing this, and so far it is starting to pay off. So, for the month of November, I made a total of $643 on my little blog. My goal each month is to increase my overall earnings by at least $100. I know that December is a pretty busy month, so this may be difficult to accomplish next month. But, if I do not push myself to reach my goals, no one else will. Previous Post: « 10 Fun Star Wars Gift Ideas! Tell us some more about side bar ads… How do you get them? Hello Jamie, Your blog is really doing well. By seeing these graphs it is quite obvious that it will perform better in future too.